Despite the fact some birds have the ability to “talk,” we haven’t yet reached the point where they can simply inform their owners when they are in pain or feel sick. Since signs of weakness in the wild would spell trouble if any predators took note, birds, like other prey animals, are infamously astute when it comes to hiding signs of injury or illness per their ingrained instincts. To ensure pet owners are providing the best care for their birds, they should watch for subtle clues indicating whether or not their bird is undergoing any physical discomfort. Some of these hints that indicate sickness or pain are detailed below, and you should schedule an appointment with your veterinarian immediately if the animal starts displaying these behaviors. 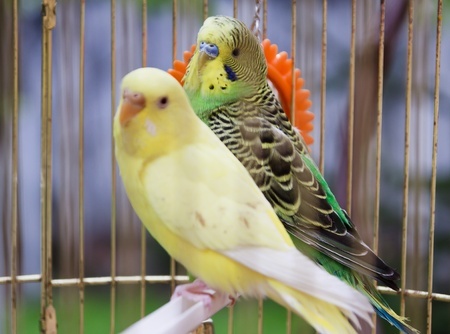 While bird owners may do what they can to keep the safety of their feathered friends in mind, injuries and accidents can happen at any time, even within a bird’s own cage. If an owner notices their bird appears to be squinting its eyes, it’s wise to see it as an indication of discomfort from an eye injury or a similar condition. When a bird spends much time on one of its legs or the bird is seemingly avoiding the use of one wing or is moving a certain way, pet owners should start suspecting something of causing pain in one of these areas. As stated previously, birds typically hide signs of discomfort or pain from other animals around them, including people, but birds that are in pain often cannot hide their discomfort entirely. Because birds are typically very active, any indication of fatigue or lethargy must be taken as potentially critical. Birds lying at their cage’s ground level or refusing to get off their perches or nests are usually sick to the point of needing immediate treatment by a vet. It’s normal for hand-fed, tame birds to get moody every now and then. However, an excessive amount of irritability and uncharacteristic lashing out could indicate that something else is going on with the bird. Although irritability and aggression are standard symptoms for hormonal behavior, especially in parrots, it is better for bird owners to be safe rather than sorry if they aren’t completely sure hormones are the reason their bird is acting differently. Most birds have very high metabolism rates, which makes it necessary for pet owners to provide them with adequate food supplies all the time—whether it’s a regular bird seed or even Manuka honey seed treats. It’s pretty normal for a few types of parakeets and parrots to be pickier eaters than others as well as for birds to have meal preferences, but birds that outright refuse to eat at all are likely in need of serious medical attention. For pet owners who suspect their bird is not eating as much as they normally would, try offering them their favorite bird-safe treat. This should quickly show if a bird has any interest in eating at all.